A fan mix of the 2012 Paul Thomas Anderson film, The Master. I've removed some scenes, added others, made some trims and rearranged things. The film is different now - it's shorter, some things play out differently - hopefully this edit is a fresh new way to view an already brilliant film. It's not a replacement, it's simply an alternate take on the material. To take an already great film and change it a bit for a new viewing experience. Audio from the 1946 documentary "Let There Be Light"
I didn't go into this with any set way I wanted to edit this film. When the film was released on DVD/Blu-ray, I re-watched it, and then immediately afterwards, I watched the 20 minute "Back Beyond" featurette on the disc that collected deleted and alternate footage, and then I watched all of the trailers, which also included unused material. All of this showed me the potential for editing, but it wasn't until I saw John Huston's documentary, "Let There Be Light," that I had the idea for this edit. That doc was included on the disc because it had been an influence on Paul Thomas Anderson and an inspiration for the film. So I thought I'd make an edit focusing on Freddie, and his post-war psycho-neurosis. This edit sort of morphed from there into it's own thing, and I'm okay with that. Along the way I made edits that just felt right. Ultimately, I think it's a cool way to watch the film. - I've cut almost 20 minutes from the start of the film. The first (roughly) ten minutes is a montage of Freddie's experiences leading up to his meeting with Dodd. - Replaced Peggy's breakfast conversation with the alternate version, which leads into a deleted flashback. I'm a huge fan of Paul Thomas Anderson, Philip Seymour Hoffman and Joaquin Phoenix so I was very excited (perhaps too excited) to see this film when it was released. The film really let me down and I easily consider it to be Paul Thomas Anderson's worst. I found it boring and unfocused. DominicCobb's edit is not an attempt to improve the film, but rather present an alternative take on the material. Edits that take this stance as a starting point at generally make for a very interesting and enjoyable experience and I can say that DominicCobb has been very successful in this regard. And, although he may disagree with me on this, I feel the edit is superior to the original and makes for a better film. The end result still not up to par with Anderson's earlier work, but this is no fault of the editor. A/V quality and editing is great. The deleted scenes are woven in very well and the slight dip in quality is barely noticeable. The narrative is still largely unfocused, but it is certainly better than the original. Overall, DominicCobb has done a great job with the this and I'm sure any fans of the original will absolutely love this edit. For me it was a slight improvement on a film that I consider to be big disappointment. I can't say I really enjoyed it, but this was certainly no fault of the editor. DominicCobb has the right mindset to make some really interesting edits and I'm looking forward to what he'll do next. 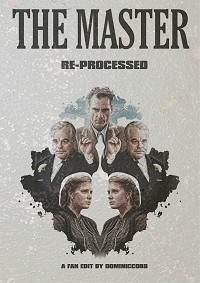 I am a huge fan of "The Master" and have seen it more times than I even know. As much as I love it, there are things about it that bug me and I was very intrigued by Dom's idea for this edit. I've watched this edit 3 times, since I gave feedback at earlier stages, and this is worthy of placement alongside the original. It's not a complete overhaul (as I don't think it needed that) but more a simple re-structure, to get to the story faster and not meander as much. I loved the added deleted footage and use of flashbacks to give a bit-by-bit insight into Freddie. Obviously the deleted scenes are noticeably lower quality but it melded fine, in my opinion. 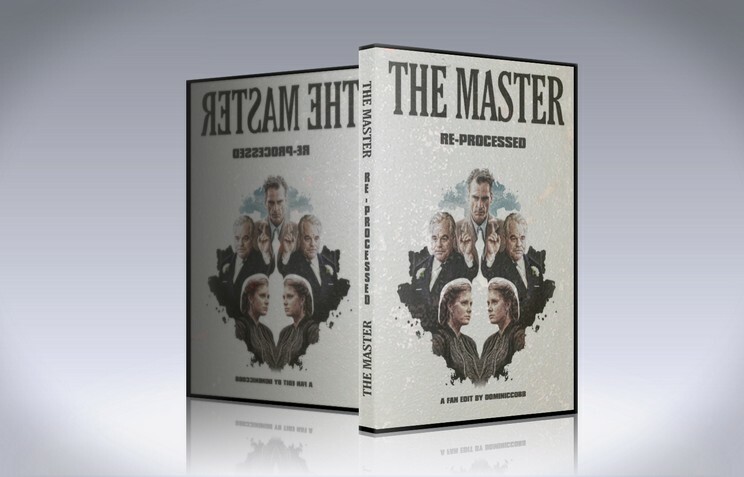 If you hated "The Master" I don't know if this will fix it for you, but it's worth a shot. I very much look forward to seeing what else Dominic Cobb brings to the table.